A fire broke out Saturday in four World Food Program warehouses in Yemen, destroying food and other humanitarian aid. "The fire destroyed huge amounts of fuel and humanitarian aid and foodstuff," a WFP employee told PressTV, adding that an investigation would take place to determine the cause of the fire. The warehouses contained 50 tons of food, along with cooking fuel and mattresses for people displaced in the war, which has killed about 10,000 people in three years. [post_ads]The conflict has raged since March 2015 when a Saudi-led coalition launched a military operation to restore Yemen's internationally recognized government and defeat the Iran-backed Houthi rebels. The United States, Britain and France support the coalition of eight Arab countries. 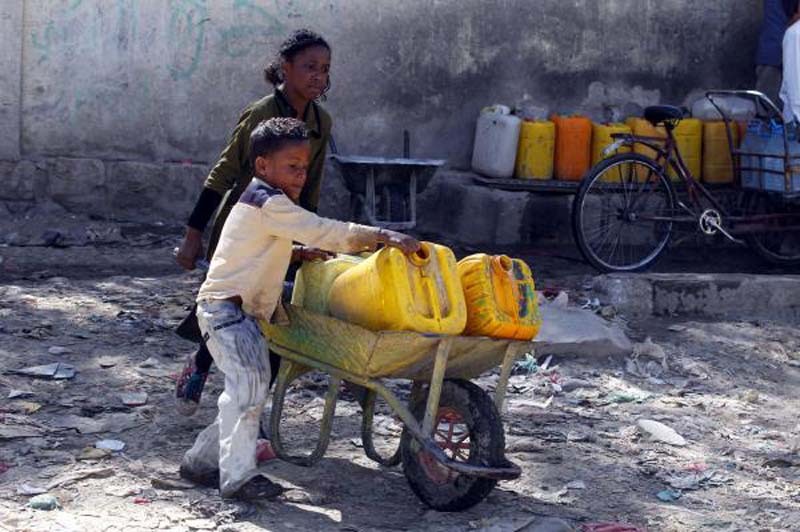 Yemen was one of the poorest countries in the Arab world even before the conflict broke out, according to the WFP. With millions of people starving and a cholera outbreak amidst the conflict, the United Nations has called Yemen the "world's largest humanitarian crisis." In November, the Saudi-led coalition announced it would allow rebel-held ports in Hodeidah and Sanaa airport to accept humanitarian aid, following international outcry. However, Paolo Cernuschi, country director for the International Rescue Committee in Yemen, said that the move to lift the blockade for humanitarian aid did not go far enough. "Humanitarian aid alone cannot meet the needs of Yemenis who are unjustly bearing the brunt of this war," Cernuschi said.